Dealing with Morgellons lesions using topical aids as well as FAR infrared technology. Also addressed here are teeth problems and environmental issues. All information in the lesions section comes from individuals that have dealt with extreme skin problems and have found ways of managing them using non-pharma products. Please note that I do not recieve commisions or sell any of the products listed. Copy in red text are the users own words (on occasion edited for grammar and clarity). I've known of Katie for some years now. She's had a difficult a journey clearing lesions. Recently she posted about Hypochlorous Acid on facebook and seeing the results after use, felt it needed to be shared. Katies words..."My submental lymph area and the matrix of my nails seem to be morgellons hotbeds. While there is a new product out (TCO) that helps all over with biofilm and filament removal gently, the areas I am showing here are all within the last 30 days, including that worst chin pic. 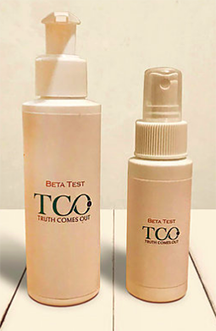 Nothing works as good as TCO for me, in a global physical way. But these are recalcitrant areas, for me, that I am showing here. GROUND ZERO... This is where localized application of HYPOCHLOROUS ACID changed everything for me and finally allowed the embedded biofilm microbial activity to be stopped and allowed the wounded fibroblasts and keratinocytes to be able to migrate from the basement membrane up to the surface for reepithelialization. These areas of matted microbes in their weird biofilm houses they have built... sometimes they need attention that unbroken skin doesn’t need. Relief! !﻿"
The product that Katie uses can be purchased at a feed store for animals. "...but somehow the hypochlorous acid in the vet kind is just barely stronger﻿...I just spray it on! Then let it dry, spray it on again. They use this for pinkeye too, it’s a weak acid so it doesn’t sting, not for me anyway!﻿...Notice how simple the ingredients are in animal products. They have to go by the same FDA standards as human products, but far less toxins and added ingredients in the vet stuff!...I will never stop using hypochlorous acid, as it can't build resistance against what we have going on...One can also wash fruit and vegetables with it. Kills all microbes and biofilm colonies in 12 seconds or less. Today I sprayed it on my toothbrush before rinsing the brush and tending to my teeth﻿. The above photos come from a user who tried Toni's yogurt treatment and confirmed the yogurt healed the sores very quickly. Approx. 1 tsp of milk (2% fat ONLY)﻿﻿Text edited for clarity...Mix the two together and glob it on ANY bump; it STILL works ﻿even if the skin isn't broken. DON'T wash it off (except when bathing), and then re-apply ﻿immediately. It only takes less than a week to rid any new breakouts. Plain yogurt does not work by itself on Morgs spots/lesions, nor does just milk by itself, or lactic acid. I say this with great confidence as I've tried many combinations over the years. You name it, I've tried it. Specifically these two products combined, are the ONLY thing I've found that work. It's not a cure, but it WILL rid each and every lesion if the application is consistent. The mix will not stop new itch spots or bumps and lumps, but it will get RID of existing ones without leaving a trace. This was an interesting comment on one of the forums discussing using yogurt..."I used yogurt every night after I did bathing routine because my feeling at the time was to put back natural flora that was likely missing from the baths, and also the clinical trials did show that people who had M have significantly diminished skin flora. Without proper flora the body is open to many different type of skin infections since the flora is our immune defense against invaders. You can also open capsules of probiotics and not just one since you are covering a large area Beware that in the morning the liquid will have absorbed into your skin or evaporated leaving lots of crumbs and it's messy. But, honestly it helped me a lot. I also mixed in coconut oil in with the yogurt to keep it from evaporating or drying up during the day...I learned this past year that there have been studies that have proven that yogurt applied directly to the skin does improve the flora. I also learned and am not surprised that scientists are discovering that humans are missing certain key bacteria from the skin that the human body requires. There is also a clinical trial underway to study the skin of children across USA." ﻿From CN: ﻿"In my desperation for relief from itching and pain associated with Morgellons lesions, I remembered what my elders used to say when I was a child "Fight Fire with Fire." With that in mind I had tried many hot things (including tobasco sauce, and don't recommend at all). At the store I found Absorbine Jr Cream and although it did burn for about 2-3 minutes after a short amount of time enduring I found it to be soothing and took the itching and pain away. After a few days of applying 2-3 times per day I found that it actually pulled out alot of all the horrible things that were under the massive very deep crusted lesions on my arm (can be seen before and after photo). After some success I began looking at the ingredients and determined all the natural things that it was made from, one of which was camphor (another good one is wormwood and aloe), and began trying other over the counter camphor based items by looking at the percentage of camphor within each product. A 1 ounce jar of Vicks with 4.7% camphor was about $6, but I then discovered Mentholatum in the same size jar has 9.4% camphor and was less than $2, while the Absorbine dries the lesions the mentholatum moisturizes them being an ointment (depending on need at the time). Ingredients of Absorbine Jr cream: Active 2.5% Menthol---Inactive Camphor, Carbomer, Cocoa Butter, Disodium EDTA, DMDM Hydantoin, Isopulegol, Laureth-4, Menthoxypropane-diol, Methyl Salilcylate, Polysobate-20, Propylene Glycol, Shea Butter, Sodium Hydroxide, Vanilyl Butyl, Water, Wormwood oil. So my camphor quest began, as I started taking 2 drops per day and 2 times per day. Within a couple of weeks I started to notice the massive clumps of fibers that were coming out of my arm were not nearly as abundant, itchy or painful. The ones I currently have now are all microscopic and can no longer be seen with the naked eye. However I will say that while the camphor I believe is helping to rid my internal system, it also has a price of the purging and expelling (so it has not been an easy pain free task), but I know I am healing. The camphor bottle has a stopper in the top allowing only one drop at a time, and once I did get too many drops which caused a euphoric sensation through my body. Again everything in moderation!! I also use a bottle of Vaposteam in hot baths for soaking that has camphor. The oil in the camphor and the aroma baths soften the skin, pull the fibers out, clear the sinuses, and help relax for a good nights sleep as well. One night after soaking my leg, I was in extreme pain still so I found a bottle of liquid Campho-phenic which has 10.8% camphor and 4.7% phenol and began massaging it in a firm circular motion on the leg lesion. Much to my amazement I actually saw tons of blue fibers pour out of the lesion right before my eyes (I had never seen them come out of my body like that, usually when fiber bundles were present with the naked eye I would wake in the morning to find them there). After several months of taking it internally I had concerns that I may be hurting my blood, kidneys or liver and told my doctor what I was doing and requested referrals for urinalysis and bloodwork. Everything was in range, so for me there was no question about it. Just as a test I stopped taking it once and within a week the clumps of fibers returned, so I began again which took another week for it to get back in my system to get relief again. I sometimes now take a break for a day or two if I am doing good, but don't go more than 2 days without at least a few drops. Lesions - Posted Oct. 2015 ﻿A Morgellons sufferer shared this with me and I'm passing it on. She used this formula on the face and on the eyelids with no problem and claims her eyebrows and eyelashes are growing back. Her before and after photo shows the improvement, but I am not publishing them as it reveals her face. Her formula contains DMSO which some feel is controversial, so do your own research and decide if it's the right direction for you. Also, it contains BodyBio which has some questionable ingredients. Upon questioning the user further I found she added it to improve the smell of the formula. From anonymous: "I developed this disease a few years ago and it steadily got worse. In dealing with it I found little or nothing that would work until now. I'm writing because I have the best skin that I've had in over 5 years. The breakouts are now seldom and I know what to do. I spent years staying at home or wearing so much makeup it was pitiful. This is the only thing that ever worked without destroying my skin.I got onto the idea of DMSO. It is a carrier and contrary to what experts say it is not harmful, you can research it yourself if you haven't already done so. DMSO is only part of the equation. Organic coconut oil is the base, the solid version of it. Take about a heaping tablespoon of cooled coconut oil (that is solidified) put in a small bowl and add the following (these amounts vary depending on how strong you want it, start out conservatively:10-15 drops of DMSO (99.0% because it will be diluted in the mixture)10 drops of Tea Tree Oil5 drops of Oil of Oregano10 drops of Bio-Oil (name brand) Mix together until liquid. Then apply with very clean fingers and begin to massage your entire face. Replenish the oils so that your fingers never pull at the skin. Always gliding over the skin. Keep massaging the skin. It may take an hour, you can watch TV or what ever but you must keep massaging. What will happen will astound you. I believe the DMSO carries the other oils deep into the skin and kills the "what ever they are". They actually start coming to the surface. At first so many will come up it is hard to keep up with it. You won't be able to get them all out and yes some may die in the skin and cause a breakout, but over time is will subside. It's taken me over a year now as certain section of my face were harder to deal with specifically the chin and cheeks. You don't have to wash your face but rinse it and apply a very thin layer at night before you go to bed. It seems now that I may never be rid of this completely but it is manageable. The ingredients are not harmful to you. I was using antibiotics and I'd have to smear it on everyday and still not get rid of this and those antibiotics are not good for you. I hope you will try this. It worked for me and I can sleep now knowing I've found a solution. Trust me I did everything even burning my skin, scars from digging at this. The up side is the DMSO has a skin tightening affect and softens wrinkles. Most of my pores are tight like they were when I was young." Lesions - FAR Infrared Using a FAR infrared sauna suit, Donna Staehr was able to clear up lesions that had been present for two years all over her body. She mentioned that she used her sauna suit for about an hour a day. When I saw these images, it struck me as nothing more than miraculous! With her permission, I'm sharing her "before" and "after" photos as well as her story (in italics). Thank you Donna, for allowing this to be shared with the world. Note: If you are just starting out with a far infrared device, make sure to start slowly and see how you do after the first treatment. I detoxed too quickly after sleeping on my FIR pad and was dizzy for days, so go easy at first. "This was my life from 2008 until the end of 2010 when I bought my Far infrared sauna suit.Medications, changes in diet, antibiotics, salt baths etc. had no effect whatsoever. My skin burned 24/7 and I developed severe anxiety, chronic insomnia and arthritis all over my body. My sores were also staph infected for around two years. I constantly had holes in my skin that would not and could not heal. I got to the point where water would even break my skin. Also, I became allergic to dust...so had to live off of anti-histamines and was having severe headaches and chest pains, heart palpitations...If I went outside I would burn, get a rash and swell up. My nails and hair stopped growing and I started to get bald spots with lots of hair falling out. I lost my sense of taste and was losing control of bladder and bowels, and also losing my memory. My skin thinned and became see through. I couldn't breath properly, couldn't even walk to my letterbox without puffing and wheezing. Got to the point where I couldn't do much at all. Basically I was in utter despair—tired, exhausted and just wanted to pass away in my sleep to end the agony...tired of everything...no need for me to go on...you all know. Anyway I did some research on Far infrared technology and thought, this has got to help, as nothing else had at all. I contacted several companies in China after doing lots of research on the healing qualities of FAR infrared therapy. Spoke in person to them by phone or email. Found a supplier and bought one. The best decision I have ever made!!!! The photos speak for themselves. In approximately TWO MONTHS holes that had been in my skin for close to two years closed completely and I was well on the way to ending the bad cycle of being sick. • No more feeling of crawling under my skin or scalp etc. • Not as lethargic I could go on. I'm still not healed, but it's more maintenance now, and these days I'm trying to fix all the damage done to the body—a long road as you know. I take tablets for anxiety, for sleep and for blood pressure. I think these are permanent things done to me by years of disease and trauma. The worst is over. I can walk around without being taped...together. This is just to help anyone who wants to try something that might drastically improve your health. After all, FIR is designed for healing. ﻿If you are looking to purchase a sauna suit, look for one that has three or four zones.﻿ The first suit Donna bought lasted only a year. Please note that some of the links below, are talking about specific products. I only provide them for reference about the technology. You need to do the research and decide what unit would work best for you. I have had an MPS unit for more than two years that I bought from Dr. Staninger. It is just a pad about the length of a torso. It was quite expensive, and at the time of purchase was not aware of sauna suits. I still use it. If I had to buy a unit right now, I would not purchase this unit again but would go for a suit or blanket that envelopes the entire body as I think these would be much more effective then having a pad. How does Far Infrared Therapy really work? The infrared light increases cellular metabolic rates by triggering mitochondria activity. This increase in cellular functioning incites enzyme activity, flushes out toxins and decreases pain and inflammation. • Far Infrared energy accelerates the production of cell tissue and quickly advances the regeneration of skin and blood tissues in any area exposed to the healing energy rays. • Improve micro blood circulation by soothing blood vessels, which are biologically beneficial. • ﻿Enhance white blood cell function, thereby increasing immune response and the elimination of foreign pathogens and cellular waste products. • ﻿Remove accumulated toxins by improving lymph circulation which are often at the core of many health problems. The build up of toxins in a health body could block the normal blood circulation and impair the cellular energy. When FIR waves are applied, the water molecules that encapsulate the toxins get heat up, and start to vibrate. This vibration reduces the ion bonds of the atoms that are holding together the molecules of water. As the breakdown of the water molecules occurs, encapsulated gases and other toxic materials are released and the body gets rejuvenated. • ﻿Increase metabolism between blood and tissue. 2) Far Infrared is excellent for detox. Scientists in Japan report that in the FIR treatment of clogged capillary vessels, heat expands the capillaries and then initiates the start of a process to dissolve hidden toxins. 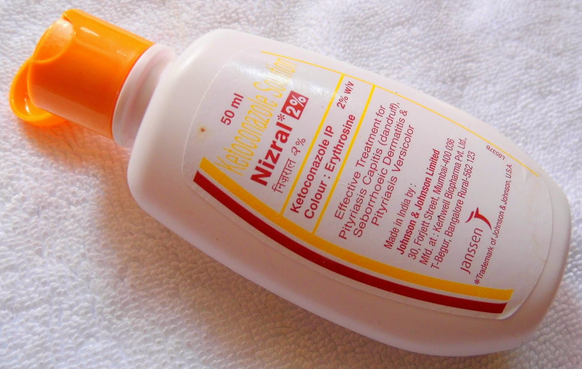 Far Infrared thereby promotes elimination of fats, chemicals and toxins from the blood: Poisons, carcinogenic heavy metals - toxic substances from food processing - lactic acid, free fatty acids, and subcutaneous fat associated with aging and fatigue - excess sodium associated with hypertension - and uric acid which causes pain. Furthermore, if sebaceous glands are activated, accumulated cosmetics in pores can be eliminated through the skin (sweat and oil glands) rather than by the kidneys. 3) Far Infrared stimulates enzyme activity and metabolism - One hour under the Hotouse improves metabolism. FIR heat aids in breaking down cellulite - trapped water, fat and waste. 8) Far Infrared strengthens the Cardiovascular System by causing heart rate and cardiac output increase, and diastolic blood pressure decrease - Extensive research by NASA in the early 1980's led to the conclusion that far infrared stimulation of cardiovascular function would be the ideal way to maintain cardiovascular conditioning in American astronauts during long space flight. "The one I used and LOVED was actually a bag. That thing was awesome. I was strung out on it for a while.﻿ It was amazing and although I was doing a lot internally...herbs, immune support...I do think it helped me a lot and know it helped me with pain and inflammation.I think the bag was the very best for me. It got the FIR all over my body heating me up and making me sweat. Just to clarify, FIR is a light therapy. There is heat involved obviously because of the nature of light—it makes heat. A lot of people think FIR is only to make you sweat. I think it is good when you also sweat along with the light. I am mentioning this because people with Morgellons know they flair when they sweat and it was like that for me as well but NOT when I sweated from FIR. FIR is light. It is the furthest red on the spectrum and that spectrum of light is a very healing kind of light for humans and animals too. Incidentally the military has used FIR for ages for detoxification purposes. There is another benefit to getting warm, which is helping to get your core body temp up. Most of you may have found your body temp is very low. At my worst mine was 94 degrees. This seems to be part of Lyme and I think Morgellons. I did everything I could do to keep my body temp up, hot, hot baths, FIR and bundling up. Stay warm. Throughout my recovery I checked my temperature. This last year is the first time in my life that my temp is 98.6 on a regular basis. I'm no Dr., but I know for sure when my body temp is normal, I am feeling well. I always thought it was normal for me to run low, as I can never remember not running low. It doesn't seem to be normal though, because now that it's up, it stays up, I'm feeling good. None of this is medical advice and all of it is based on only my own VERY un-scientific observations. One last comment. Do not get the FIR that Staninger endorses..it is a piece of crap. MIne is. It is broken more often then it is not. The controller has had to be replaced twice and now it is broken again. I have hardly got to use it. Plus the bag is better. Thats only what I think..."
"For the last 5 years I have treated my skin lesions with manuka 16 umf honey dressings. It will expel the entire "package" (biofilm/fiber bundle), in about 6-12 days. I tested many varieties of honey, dressing tapes and dressing material over the years and found 3M micropore tape (2"x2") to work best, using two layers and leaving a 3/4 seal boarder to seal in the honey. I use Curad nonstick pads 8"x3" and cut them to size with scissors. Basically I use a 3/4"x 3/4" cut square on a double layer 2"x2" tape with a 3/4" seal. It feels good under clothes. Sometimes I back the square with another square which is "dry" on the back of the first honey soaked dressing square. This prevents leakage. Works really well. I use the dressing method 24-7. Lesions are always covered. I treat new lesions immediatly before they get worse. One unique advantage is manuka honeys ability to rapidly re-granulate the wound after the expulsion process. New pink skin will emerge and the area is pain-free to the touch. It also has the unique ability to stimulate immune cells at the wound site, something that no over-the-counter or Rx product can do. This works well for me because I do not have to endure pain as previously, because manuka honey is an excellect analgesic. You just need to take a little stinging for the first 10 minutes on larger wounds, on smaller wounds it is not noticeable. Depending on how aggressive the wound is I will change the dressing once in 24 hours or every 12 hours on aggressive active wounds. To remove particles (fiber knots under the microscope), I use virgin coconut oil over the whole body. Massage it in and they come to the surface before they can grow laterally in the skin layers. I do not have to do this to often though. Enzymes make a whole lotta sense also." Lesions - Treatment from Homeworld: He's has been battling lesions for two years. When he tells me he finds something that works, I pay particular attention because he has been hitting this disease hard. Please note that he does not feel pain when using GSE, however I know that others say it burns and KEEPS burning when put on an open lesion. I'd do a small test to make sure you can handle it before using. Better yet, dilute with water and see how that goes before using full strength—and please heed homeworld's note about using undiluted GSE full strength over large tracts of skin. Grapefruit seed extract Nutribiotics brand 33 percent citricidal. "I have been plagued by very persistent lesions on the face...arms...the experiments that I have done with GSE and urine indicate that GSE annihilates the gel forming bacteria. OK...a week of GSE on the face lesions...and they are nearly gone. Mind you, they have been hanging in there for months....look in mirror...looks MUCH better...drag USB scope over the lesion areas...new skin growing...Technique is to pull the morg "scab" off to enable the GSE tocontact the lesions [and the bacteria] head on. No interference from the"plastic" morg "scab." Have found that constantly removing the scabs is prettymuch a requirement for anything that looks like a timely "healing"...as the scab isprotecting the destructive activity going on underneath. The time I made a point of leaving a scab alone...[on a leg, hidden under trousers] it grew to over 1.25 inches across...at which point I 'surgically" removed it. [Youtube video of this] Attacking it with peroxide only made the scab pretty much rock hard...and utterly dense with fibers that grew into flesh. Cutting the whole mess out was the first step to getting it to heal....at any rate...yeah...GSE seems to be very useful. Now if only it could be ingested in sufficient quantity to kill the morg bacteria in the gut...without killing the host..." A note of caution regarding GSE...I have been applying Nutribiotics brand GSE [33% citricidal, 67% glycerin]undiluted to lesions. It does seem to slow down the production of the gel/plastic scabs. Tests on the morg bacteria on slides shows that it does kill the bacteria that makes the gels. Had a major breakout of lesions on one side of my face. Lots of lesions, closetogether. I applied GSE full strength to the facial skin...or what was left of it.......umm..no..bad idea..the skin around the lesions that was "in range" of the morg lesion [say...appx one lesion diameter or so] became damaged in some sort of interaction between the morg chemistry and the GSE...the skin became...plastic like. The normal skin on the "clear" side of the face was not adversely affected by the GSE.. only the "undamaged" skin near the lesions. It seems that the morg chemistry persists for at least one "lesion diameter" from the edge of the lesion, and that skin reacted...oddly/badly to full strength GSE. 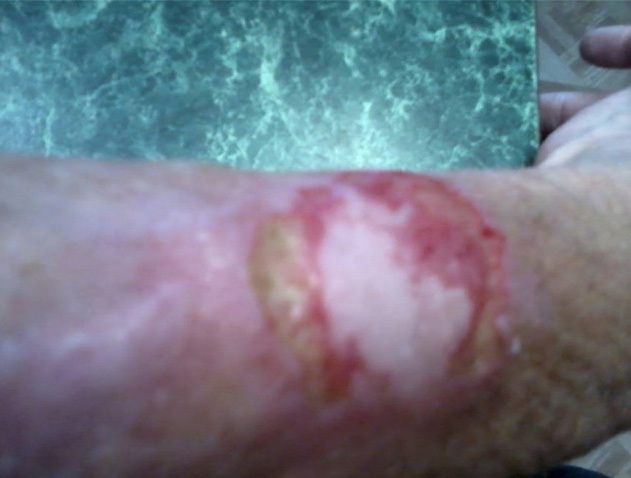 I no longer apply undiluted GSE on large areas of skin..I cut it down significantlyto avoid such "collateral damage." I still apply the GSE undiluted to open lesions...to get "enough" of the [appx 10 mg/per drop] of citricidal into the mass of morg gels/bacteria to be effective. The GSE does not burn/generate pain. Other chemicals do...such as hydrogen peroxide and an over the counter skin cream I am experimenting with to assist the skin in healing. Oil Pulling Message below was sent from a friend (who does not have Morgellons) so you can see his methods. I think he's got the right idea. "A tooth has been troubling me and I have found fasting while taking massive doses of Vit-C, Olive Leaf Extract, Oregano Oil, salt water rinses and oil pulling www.oilpulling.com can reverse damage and heal a tooth. Teeth are living tissue and can remineralize, although is not common knowledge. I healed a molar last year. Was a real head-banger—the pain was so bad. Swollen jaw, lymph nodes enlarged and sensitive, ear and nostril affected. I was going to get the bugger yanked but decided to cruise the web first. Sure enough, there are those courageous and marginally insane folks who refuse to succumb to the drill and are healing their own teeth. That's all the encouragement I needed. It was tough, and at times scary but the tooth did heal." I'd like to share my experience with oil pulling using coconut oil. Three or four times in the three years since getting Morgellons, a sore has popped up on the roof of my mouth near the teeth. In the past, it has taken up to two weeks to fully go away because brushing the teeth rips open the sore which bleeds. The last time I got one of these sores I decided (after two days) to begin coconut pulling. I swished the oil around 20 minutes﻿ in the morning upon awakening and in the evening before bed. After the first day of doing this, I noticed a marked improvement. 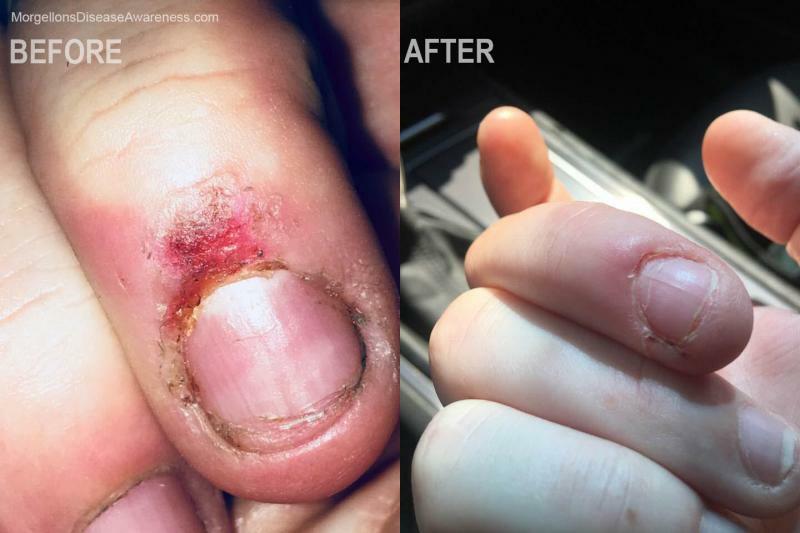 It took three days of treatment to make what normally took two weeks to heal, happen. Hallelujah, I see the light. Since then, I've continued to do coconut pulling at least once in the morning.﻿ I have to admit, I'm pretty obsessive when it comes to my teeth. I lost a tooth to gum disease before getting Morgellons, so am vigilant with my care. 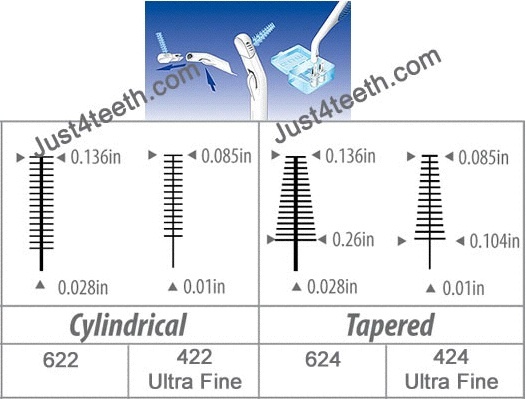 Things I have used on my teeth over time. Bentonite clay Rub the gums with it before bed (and leave it in the mouth). It's fine if you end up swallowing it in your sleep as it's very healthy and helps with detoxification. For those that take Bentonite internally as a detoxifier, note that it should be taken away from supplements. Garlic is a natural antibiotic I have experimented with extensively for fighting infection both internally and externally for years and can attest to it's antibiotic properties. In times of war, garlic has been used on soldiers in the trenches applied in open wounds to prevent infection (big ouch!). For teeth, garlic can be used externally. Slice a thin strip from a clove and place it directly on the gum at the site of infection. Leave it on for a few moments or until you feel discomfort, then disgard. If infection is bad, I'd repeat this a few times a day. I've used this method on my teeth before I even had Morgellons with good results. If you feel you've got a serious infection in your tooth, taking garlic internally, might be a secondary support to your system. Note; If left on too long, garlic like GSE, can burn the skin causing eventual peeling of the skin —although I've found the infection to go away even when I've been too extreme in my method of application. Use common sense. If you have a bad abcess in the mouth, and feel the infection has progressed to a serious stage, you will need to determine if antibiotics are the way to go. I had a really bad infection (pre-Morgellons) that I took antibiotics for and feel that was the best choice at the time. Environment - Menthol crystals A few years back, I wrote about menthol crystals for morgellonsfocusonhealth.com (site no longer active). At the time of writing, I believed that I had had some sort of infestation in my apartment. I am no longer sure this was the case. However, if you do have a bug problem in your environment, these tips should get rid of it. I've written more about the need to get confirmation that there really is a problem in your environment on the "Reflections" page. Menthol crystals are incredibly strong and unhealthy to breathe on a regular basis. Do not breathe in the fumes if you can help it and don't stay in any room you are treating! Make a point of using them in sealed areas or bins and open windows or use an exhaust fan to ventilate afterwards. Some people buy the diffusers that have a candle in them. I used a Mr. Coffee cup warmer instead. There is less chance of fire and I believe it releases more menthol into the air. They can be bought at specialty gourmet stores or housewares/hardware stores for about $10 and run on electricity. ﻿﻿Put clothing in a large bin or garbage pail (not plastic bags), rest the cup warmer on a stable surface within the bin on top of the clothes (a book works well). Place the crystals in a small cup, rest it on the heating element, then turn it on. The crystals will melt. Make sure heating device does not touch fabric or has no chance of tipping over. You do not want to start a fire! You only need a teaspoon to a tablespoon or so of crystals. You'll get the feel for how much you should use over time. After the clothing has been mentholating for a few hours, you can reach in and turn the laundry ensuring that everything in the bin has been well exposed to the menthol. Do NOT pack clothes tight. Air circulation is a good thing. When you are ready to turn off the heating element, pull the plug rather than opening the bin. Leave the clothes in the sealed container a few more hours for assurance. THEN do your wash. This works well—especially if you have things like down coats.You can do your shoes this way too or any other items you are unsure of! (Don't use the menthol crystals on computer equipment). The shortest time I mentholated was 3 hours—but most times I set the crystals up to heat overnight and unplugged in the morning. Don't worry if when you open the bin you see what looks like cotton candy around the edges of the bin. The crystals might transform when melted. They aren't Morgellons fibers. 2. Using menthol crystals on furniture (such as a couch) —Buy a big plastic drop-cloth from a hardware store with as thick a plastic as is available and 'TENT' your couch. I used 2 cup warmers under mine and let them mentholate overnight or longer. You can tape the tent to the floor if you feel it necessary. I tilted cushions up on end for greater air circulation and turned them occasionally. If you can't place cup warmers underneath, then rest them elsewhere on the couch. I treated couch every couple of weeks initially. You can use this same 'tenting' technique for your computer chair. Closets can be used as independent mentholation chambers by placing a cup warmer with crystals in them and closing the door. If you do this and don't wash your clothes, they will smell strong and feel icy to the skin. I wouldn't make a habit of wearing unwashed mentholated clothing as I believe it is unhealthy to inhale the vapors over a long period. Some people have tried to mentholate rooms. If I were to do this, I'd use a few cup warmers placed throughout the area. Open dresser drawers, closet doors, and try to keep in mind that you want to make sure as much air circulation gets around things as possible. Do one room at a time, sealing the bottom of the door with a towel. Don't do this if you have fishtanks in the room, and make sure to protect your pets by keeping them out. Open all windows afterwards to ventilate and use a fan if necessary. 3. Computer Equipment —I disassembled all my equipment including cords and put them into a big bin with mothballs. The kind with 'PARA' in the ingredients. I left them in there for 24 hours. It did the trick. Mothballs are nasty and toxic, this is a last resort solution and I suggest you do your best to limit exposure especially when it comes to inhaling. Also, note that certain plastic foams will absorb the odor of the mothballs and there is no way to get that smell out. None of my computer equipement absorbed any odor. If you have a problem in an isolated area such as a room, I'd put a bin right outside the door with diatomaceous earth﻿ in it, or menthol crystals. Shoes should be taken off anytime you exit the room and left in the bin for a few hours. Beware of tracking infestation around.